Today we’re going to talk about what Best refurbished laptops are, how good they are, and we’ll later suggest some brands and online marketplaces where you could start your search. It’s that time of the year when discounts on electronics are thrown at you at every corner, and you, like most people, are probably looking for a sweet deal, and rightly so. Big names, such as Asus, Dell, HP, and others have provided a way for those with a slightly tighter budget to still be able to find a good laptop without paying an arm and a leg for it. How good are refurbished laptops? Finding a singular answer to this question is relatively impossible. How good a refurbished laptop is mainly depends on the laptop brand that refurbished it, as well as the way they refurbished it. We’ll talk a bit later about what refurbished laptops are, but for now all you need to know that refurbished laps can be as good as the real deal. On the other hand, there’s a chance that a particular model you’ve decided to try isn’t working anywhere near as intended. Brands refurbish their laptop models in different ways, and even if we’re talking about one brand alone, it’s safe to say that there can seldom be two refurbished laptops that are completely alike. Different hardware parts ask for refurbishing, as well as different reasons. For instance, if the packaging of a certain laptop was damaged but not the lap itself, the model would perform exactly the same, yet it could never be sold as if it was new. However, if certain hardware pieces were damaged, most countries have laws regarding selling damaged goods, so the refurbishing process would include a replacement of the parts in question. These replacements, sadly, aren’t top shelf, so that particular laptop would probably perform worse. 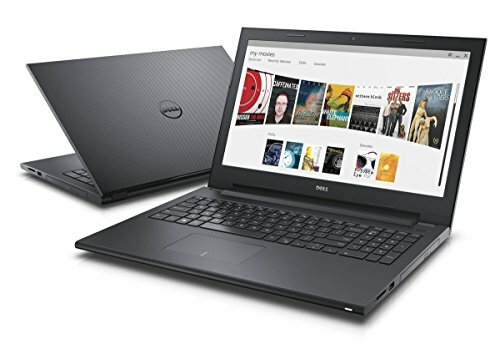 Dell refurbished laptops are some of the finest on the market – these guys offer hundreds of models, most of which have suffered but a slight update in terms of software and hardware. 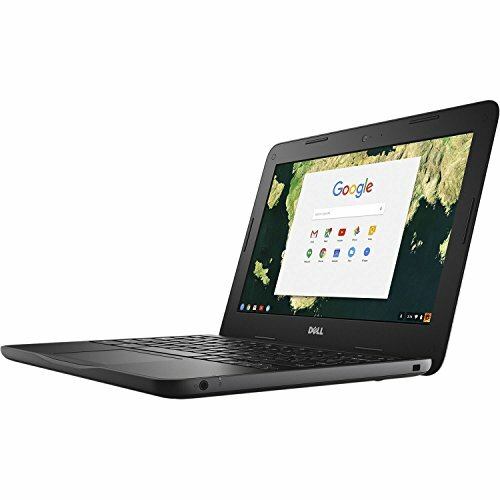 We have picked out the Inspiron 3000 and Chromebook 3180 for you, but feel free to check out the entire selection here. In essence, Dell’s Inspiron series is quite successful, and the model 3000 is a pretty good representative of what these guys can do. It packs a dual core 1,10 GHz Intel N4000 processor, 4 GBs of DDR4 ram, a 14-inch HD LED-backlit display, and Intel UHD graphics. The hard drive rocks only 32 GBs of memory which isn’t quite exemplary, and you’ll get a pre-installed Windows 10 64-bit system to start. Now, on the upside, the Inspiron 3000 is very cheap. In fact, you’ll get to save some $60 if you’re purchasing on their official site. On the downside, it’s not exactly powerful, fast, or versatile. All things considered, it’s one of the cheapest laptop models from the Inspiron series, and trying it out won’t present too much of a gamble. 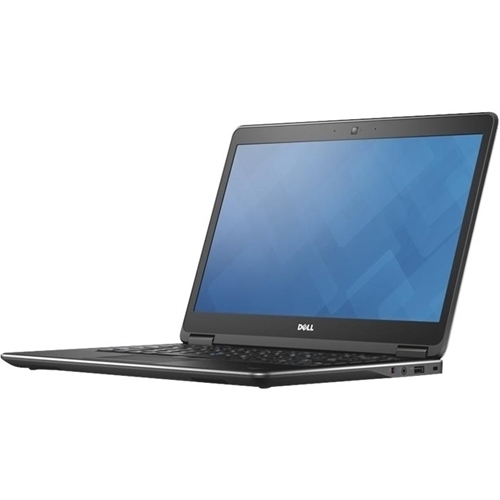 Next up in our Dell refurbished laptops section is the Dell Chromebook 11-3180. You’ll notice that there are a lot of similarities between this model and Inspiron 3000 – for example, they both feature Intel HD graphics, 4 GB of ram, and a 32GB hard drive. 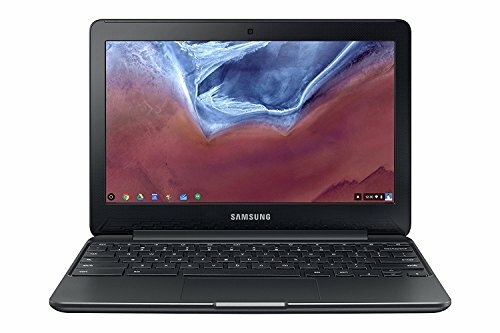 The difference is that Chromebook 11-3180 has a slightly smaller display (11.6″ inches LCD), but it compromises for this little flaw with a stronger processor – the Dual core 2.48 GHz N3060 Intel Celeron Processor. In a nutshell, consider this option if you’re looking for extra processor power at the expense of display. If you’re interested in both quality and cheap, you’re looking for Asus refurbished laptops. Finding a certified refurbisher online is no small task, which is the reason why we’re going to recommend a single model in this section. The Asus Chromebook C301SA is pretty good for the buck, although it is just slightly more expensive than most Dell refurbished laptops. It packs a 1.6GHz Intel Celeron Quad core processor (which is roughly twice as powerful as the one Dell’s Chromebook 3180 comes supplied with), Intel HD graphics, 4 GBs of ram, 32 GBs hard drive and Google Chrome operating system. HP refurbished laptops are great in general, although you’ll notice that they’re slightly more versatile and business-oriented than most refurbished lap models. 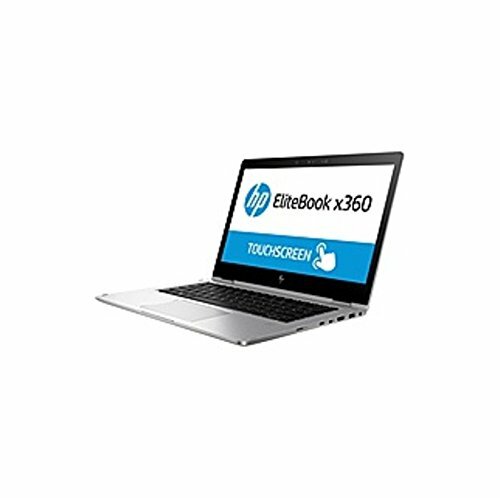 We recommend trying HP EliteBook 1030 and HP 255 by checking out the price list here. Now, HP’s EliteBook biggest benefit is the ultra slim and durable chassis. 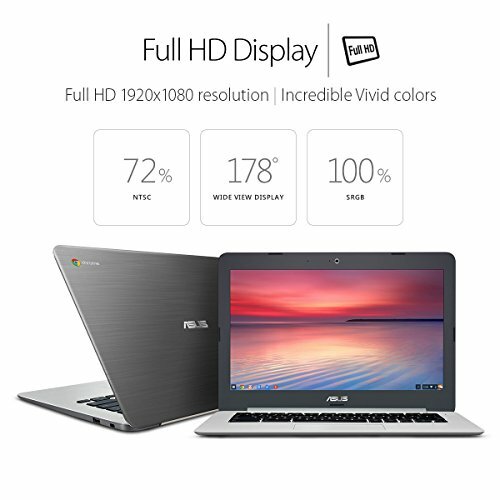 The screen spans for 13.3 inches diagonally, boasting anti-glare technologies. It has a better battery than HP 255 which can last up to 13 full hours, although there’s a downside – there are no fans to rapidly cool the processor. The EliteBook is, well, Elite in every way, rocking a 6th Gen Intel Core processor, up to 512 GBs of SSD (solid state drive), holds a slot for up to 16 GBs of ram, and has excellent connectivity with plenty of port supports. 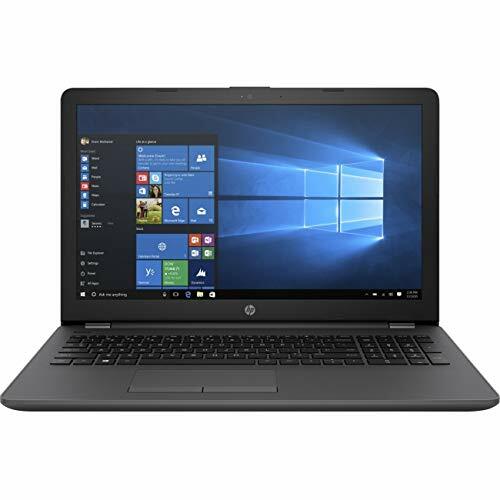 The HP 255 rocks an AMD A6 APU dual core 2.5GHz processor (which can reach up to 2.9 Ghz with turbo), 8 GBs of DDR4 memory, 256 GBS of SSD (solid state drive), AMD Radeon R4 graphics, and a big 15.6-inch anti-glare display. That being said, it’s quite obvious that this laptop performs better than any model we’ve seen so far, but it costs slightly more in turn. 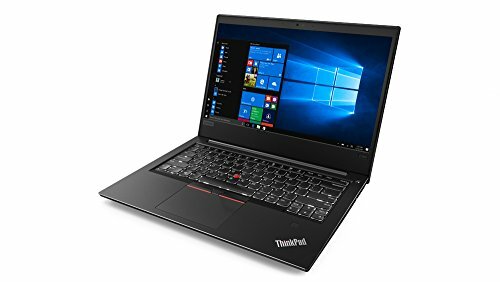 New 15 Inch Laptops Review in 2019. The good thing about HP 255 is that it features a long-lasting Lithium Ion battery – it’s capable of holding out for up to full seven hours, if not some 15-30 minutes beyond the limit. There are also several expansion slots, including a single multi-format media reader which supports SD, SDHC, and SDXC. Lenovo has established its reputation over the 34 years they’ve been working, and it’s safe to assume that everyone has at least heard about them at some point. Though they offer premium-quality high-end laptops as well as a wide selection of budget models, we’ve taken a gander at what they can offer in the refurbished section. 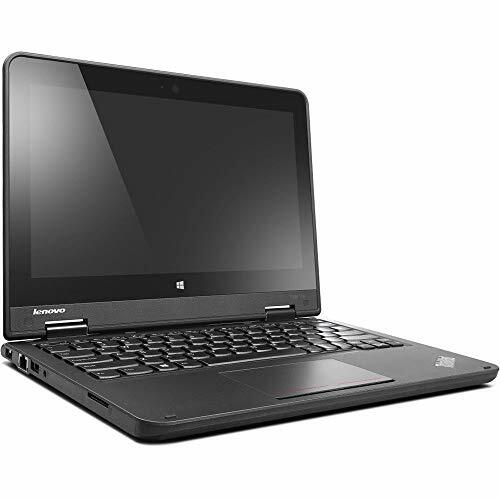 We’ve chosen the ThinkPad E480 and ThinkPad 11E for our Lenovo refurbished laptops section. The E480 is a solid refurbished laptop, offering a well-balanced performance. It comes supplied with Intel Core i3-8130U 3.4GHz processor, 4 GBs of DDR4 RAM, Intel UHD graphics, a 500 GB hard drive, and 14-inch HD anti-glare and LED backlit display. What’s more, this laptop model features Bluetooth connection and an onboard 720p camera. If “new”, it’s quite expensive, but the refurbished edition costs only half as much. The ThinkPad 11e is, essentially, a student’s laptop. It’s small, practical, and very easy to store and carry around, but that shouldn’t lead you to believe that it’s weak and unreliable – it’s quite the opposite. This laptop packs a Intel Celeron N3160 2.24GHz processor, a 11.6-inch backlit display, 4GB of DDR3 RAM, 16GB memory card drive, and Intel HD graphics 400. Surely enough, it’s a bit weaker than the ThinkPad E480 which we previously mentioned, but it offers more versatility and compactness to make up for its slightly inferior performance. Gaming laptops are, almost by a rule, several times more expensive than casual and business laptops. The reason for this is quite simple – the hardware is superior, and even the weakest gaming laptop could easily outshine some of the finest casual laptops. 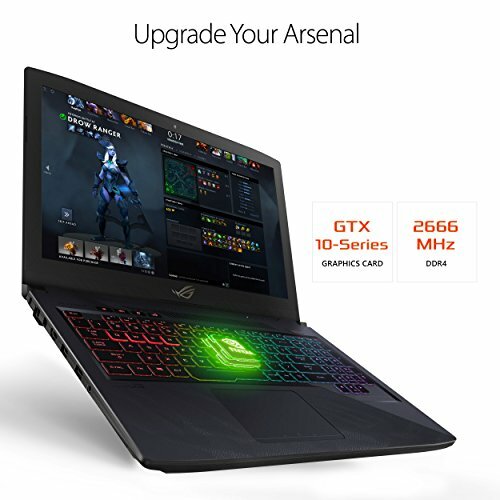 There are a lot of places where you could start your search for the refurbished gaming laptops, but we advise you to begin with IBuyPower – (or their IBuyPower Amazon store) they offer a wide and versatile selection of premium quality refurbished laptops, among which we’ve singled out the MSI GL63 and Asus Rog Strix GL503GE. Though weaker than the latter, MSI GL63 8RC 069 is a remarkably strong machine. It sports a Intel Core i5-8300H quad core 2.3GHz processor (which can reach up to 4 GHz with turbo), 8 GBs of DDR4 RAM, Nvidia’s GeForce GTX 1050 graphics card, 256 GBs of solid state drive, and a 15.6 inch full HD display. Safe to say, this laptop could easily run the latest games, most of which can be played at “ultra” settings, with several exceptions (such as “No Man’s Sky”, for example). It doesn’t come cheap, but the refurbished edition is substantially less expensive than a new one. Asus laptops are, without any doubt, some of the best gaming laptops out there. The Rog Strix GL503GE is a prime example of how they should be done. Now, most gamers aren’t exactly in a situation to purchase a new Rog Strix, but a refurbished one on IBuyPower’s official site is just under 1k bucks. This laptop comes outfitted with Intel Core i7-8750H Six-core 2.2GHz processor, 8 GBs of DDR4 Ram, Nvidia’s GeForce GTX 1050 TI graphics card, a whole terabyte of hybrid drive storage space, and numerous smaller connectivity and compatibility accessories. Display packs 15.6 inches, which is just enough for 4K or UHD resolution for most of your games. You could always hit up actual electronic stores and ask for a recommendation on their best refurbished laptops, but the best way to go is to search up online. Best Buy, Walmart, and Amazon are just some of the most renowned online marketplaces where you’ll be able to find whatever it is you are searching for, and more. We recommend that you start your search at Best buy for several reasons. First, their selection of refurbished laptops is huge. Secondly, most of the models you’ll find there are bargains true to form. Lastly, they often offer exclusive models at remarkably low prices, such is the case with Dell’s Latitude or Apple’s MacBook Pro. The Latitude has a relatively big 14-inch LED backlit display, packs Intel core i5 processor, 8 GBs of RAM, and a 128GB of solid state drive. It excels in certain fields of performance while being mediocre at others, but this is certainly a lap worth considering. Apple products are famous for being top-shelf performance wise, but they’re also rather expensive. The latter might not be the case if you don’t mind purchasing a refurbished model – you can find the Macbook Pro on BestBuy at a bargain price. It has a 13.3-inch screen, Intel Core’s i5 processor, 16GB of Ram, and 500GB of hard drive storage space. Boasts a huge value for the price, to say the very least. 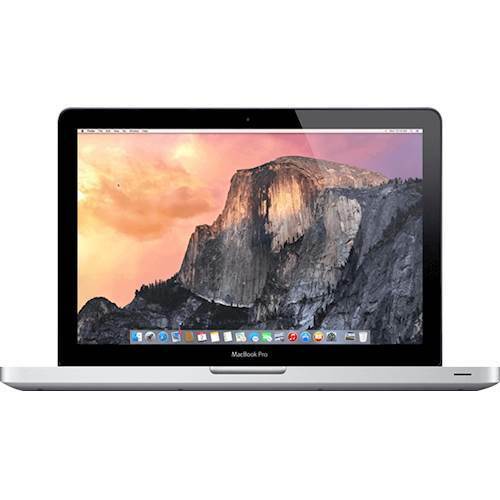 Walmart basically offers a selection of refurbished laptops which is very similar to Best Buy. You’ll see numerous offers for models we’ve seen so far (HP Elitebook, Dell’s Latitude, Applce Macbook, and such) without being significantly cheaper to be worth considering. However, Toshiba’s 17,3-inch Satellite stuck out from the rest of the bunch, so we recommend that you check it out. The Satellite is strikingly different from most models in our review – it rocks an AMD A6 processor, 4GBs of DDR RAM, 500 GBs of hard drive storage space, multi DVD burner, and a huge 17.3-inch TruBrite backlit display. Great battery life, awesome price, and impeccable performance are the least you should expect from it. Would you like to have new 17 inch laptops? Do not miss 10 Best 17 inch laptops Review post. Amazon is a place where you can find whatever you need, including top-grade refurbished laptops. After a plethora of laps made by underdog brands, we’ve came across Samsung’s Chromebook 3 and decided to share our impressions with you. The screen of Chromebook 3 is relatively small, being only 11.6-inch large. Ram would welcome a boost from 2 GBs which this laptop currently has, but the other features are pretty great. In fact, even the ones we’ve mentioned so far are decent consider how cheap this laptop is. There are several things you should consider before you decide which refurbished laptop is good for you. In fact, you should first decide whether you’ll be content with a refurbished laptop at all – some people like them, others don’t, so make sure to not skip out on the first sections of our buying guide if you’re unfamiliar with the term. Once we clear the air, we’ll continue to the elements of a good refurbished laptop. A “refurbished laptop” is usually made out of electronic scraps – some people like to throw in the word “waste”, but that’s not the point. Refurbished laps are made with the same technologies the brand in question usually uses for their “normal” laptops, but there are still differences between the two. Generally, most people feel reluctant to buy a “refurbished” laptop as they think it was used, or it’s of inferior quality when compared to the real deal. That might and might not be true, but the punchline is – refurbished laptops are always much cheaper, and often just a tad less reliable than non-refurbished laps. What does “refurbished laptop” mean? Basically, “refurbished” items are renewed, redecorated, or updated. This term, however, has a slightly different definition when it comes to electronics, laptops in particular. A refurbished laptop is a laptop which cannot be sold as new, for one reason or another. These reasons can pretty much anything – hardware problems, damaged casing, and in most cases the packaging was opened and later retaped. Let’s face it, if you had the money you would never even consider a refurbished laptop and instead you’d get a new one, right? That being said, it’s only obvious that you shouldn’t settle for any price – make sure that the model you intend to purchase has suffered a significant discount. On the other hand, huge discounts usually mean that the model in question was refurbished due to something big. For example, a high-end gaming laptop which costs above 1k bucks is probably well worth the money, but would you still think it’s reliable if the price was lowered to some $200 after refurbishing? This element is entirely optional, but even when it’s not present you’ll have to figure it out one way or another. The “Refurbishing grade” is basically a label attached to a laptop which points out why the item was refurbished. For example, Grade A (or grade 1, depending which brand or online marketplace is in question) refers to plain errors in packaging whereas Grade C (or grade 3) refers to visible dents in the chassis. Certain online marketplaces such as Amazon, for example, refrain from using the term “refurbished” altogether. Of course, you might stumble across certain models which bear the term in the title (e.g. Acer Predator refurbished), but you’ll usually see the label “renewed”. Check out the user feedback whenever you see a label which indicates but doesn’t directly point out whether the laptop was renewed, refurbished, or even used. Picking out a good refurbished laptop is very hard these days, especially since you have very little information regarding the refurbishing cause. Be it as it may, we’ve taken the liberty of finding several good places where you could start your search, as well as several models which were refurbished by licensed personnel, so browse away and good luck!